The news that Rich Dubee wasn't being brought back as pitching coach for the Phillies wasn't exactly unexpected. Baseball managers usually feel more comfortable bringing in a coach that they've either worked with in the past, or have a lot of admiration for and want to hire them in their own staff that they assemble. Committing himself to coaching at an early age is what Rich Dubee decided to do. He never threw a pitch in the MLB. After a somewhat promising minor league career, his pitching career in the majors never got a chance to become reality. At 24 years old, Dubee had a love for the game that has carried him a long way and he had to either pick up a role with coaching or exit the great game of baseball at a young age when his minor league pitching career came to an end. As far as pitching coaches go, Dubee was with the Phillies for a long time. He was tied Ray Rippelmeyer and Cy Perkins for most years as a Phillies pitching coach at 9 years. Dubee climbed on board with the Phillies for the 2005 season, after serving the same role in the Phillies minors for a couple years, and before that serving as Jim Leyland's pitching coach for the Florida Marlins in 1998 after spending 16 years as a minor league pitching coach, which included a few years in the Marlins minors. Dubee came to the Phillies when they didn't have that much happening, much like it is right now. He didn't know what would be coming down the road in Philly though, as within 3 seasons after he was on the job, the Phillies would become World Series winners. Rich Dubee took over from the previous pitching coach for the Phillies just after the Larry Bowa era. Bowa managed the team to a 85-75 (Bowa was let go with 2 games remaining in 2004 and the team finished at 86-76) and Joe Kerrigan was the Phils pitching coach. 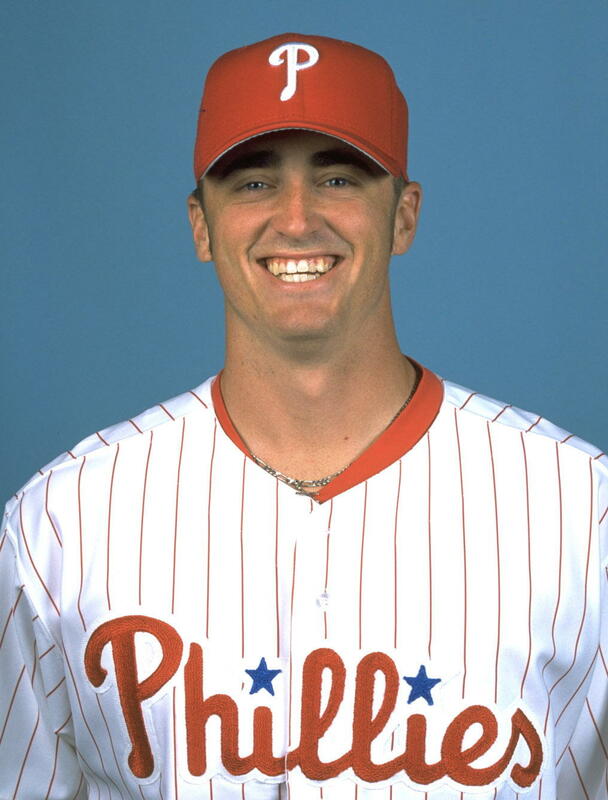 His first year with the Phillies, and our pitching ace was Jon Lieber, he won 17 games for the Phils in 2005 and we had a sure fire closer by the name of Billy Wagner, who had 38 saves in '05 and a 1.51 ERA. The late Cory Lidle also contributed to the '05 Phillies team with 13 wins. Lidle died in a tragic plane crash in New York City on October 11, 2006, Lidle was traded along with Bobby Abreu to the New York Yankees on July 30, 2006. Dubee also got to coach and develop one of the most controversial of Phillies' pitchers in the last 20 years in Brett Myers. Myers also won 13 games for this 2005 Phillies team. Myers was a fiery pitcher with a fiery attitude, and though he had many issues was part of that 2008 World Series winning team. In 2009, the Phillies team added some fire power to it's pitching staff, Cliff Lee, fresh off of a Cy Young season in 2008 for the Cleveland Indians joined the Phillies for his first stint with the team. Combining Lee with Cole Hamels, who was named World Series MVP for 2008, was probably like having a couple of Rolls Royce cars in the garage for Dubee, who also coached the great Jamie Moyer that season. The great times would roll on for Dubee and the Phillies when it was announced that for the 2010 season, the Phillies would add Cy Young award winner, Roy Halladay to the lineup and even bring in ex- Houston Astros great, Roy Oswalt to the staff. Cliff Lee was gone for the 2010 season, in a trade that baffled him, and a lot of Phillies fans, but Lee would return for 2011. Dubee coached the All-Star teams for pitching in 2009 and 2010 to highlight a career that probably will continue. Dubee is only 55 and has a lot more experience to share and give to major league team. For the Phillies, they parted ways with Dubee, but it's doubtful that Rich's career in baseball will end. He's too talented and experienced to just fade away into the baseball sunset. Charles Bevis wrote a biographical story on Rich Dubee for SABR, Society for American Baseball Research, here.